Since the earliest days of the medium photographers have been drawn to the power and beauty of this mysterious and iconic landmark. The photographs they have taken have added to our knowledge and understanding of the site, as well as showing the changes in the surrounding landscape. More... 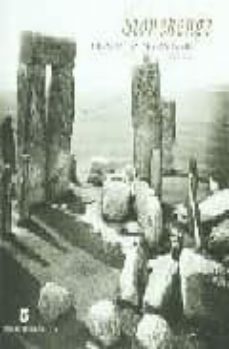 Renowned TV historian and Stonehenge expert Julian Richards traces the development of photography of Stonehenge, from the earliest known shot (taken in 1853 and belonging to Prince Albert's personal collection) to modern day thermal imaging shots. He explains what they tell us about various excavations and discoveries and how these have contributed to our understanding of the site. But more than this the photographs give us a fascinating cultural history of Britain's best known monument. From shots of Victorian ladies picnicking on the collapsed stones (much of the site was reconstructed in the 1920's) to shots of World War 1 bombers parked behind them (the RAF petitioned for the stones to be demolished in the First World War as they were distracting pilots from the nearby air base), to mass Druidic ceremonies in the 1920's, the book gives a unique and intriguing picture to the ever changing nature of the site. At the same time the author uses remarkable aerial shots to explain the archaeology of the immense ceremonial landscape of the surrounding area.